Just what is there to do on Mars? I only ask because a private company has announced that it’s taking bookings for a flight to Mars – the catch being it’s a one-way ticket. But I thought, hell, I’m getting on a bit; by the time we land on the red planet, I might only have a few years left in me anyway. This set me thinking; how would I spend the time I had left before the air and water ran out, or I succumbed to the only form of life on Mars; a virus that proves deadly to humans! I’d take my kindle, so I’d have plenty to read – yes I do know, other e- readers are available. I could do a bit of exploring; collect a few rocks – there’s a lot of ’em on Mars – perhaps I’ll be the first to prove there is life on Mars by discovering the virus that will ultimately be my nemesis, but then what? The Martian landscape is red and that’s it, it doesn’t have the variation and beauty of terrain to be found on earth. 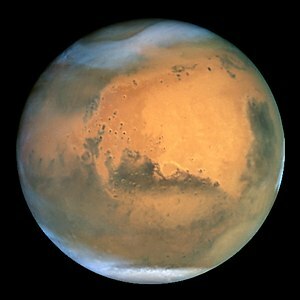 So, unless there are a host of cities full of Martians hidden beneath that desolate surface, there isn’t much for a non-scientist like me to do on Mars. I wonder if they will refund my deposit? They seek him here, they seek him there . . .
A few months ago they said they might have missed it. Now they’re claiming they may have glimpsed it. The Higgs Boson particle is proving as elusive as the Scarlet Pimpernel. 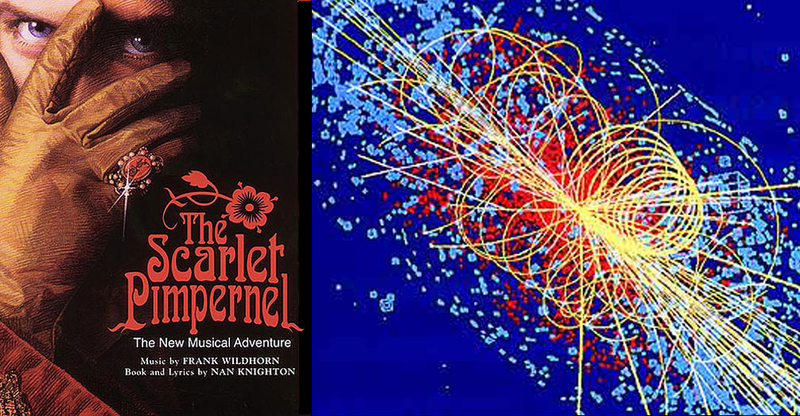 The Scarlet Pimpernel is of course a fictional character: a foppish English aristo who risks his life to save French aristos from the guillotine during the reign of terror, but he does share a number of important characteristics with the Higgs Boson particle. 2) No one is quite sure if he exists or if he is just a myth. Imagine the Higgs boson was a person rather than a particle. Say a clever and resourceful jewel thief, wanted all over Europe but no one knows for certain who he is or what he looks like. A French professor claiming to have seen him reports his sighting to the local gendarmerie. ‘Yes. Yes, I did,’ the professor replies. The man is red faced and excited and the detective wonders if he has been drinking. So, who’s got the God Particle? An article in The Sunday Times the other week suggested that the elusive Higgs Boson, the so called God particle, may have been found 11 years ago. What’s going on here? Did an absent-minded professor put it down for a second and then forgot where he’d put it, or did some disgruntled employee steal it? Scientists have been searching for this particle since the 1960’s, when Professor Peter Higgs first proposed its existence. So you can imagine the consternation at Cern, home of the Large Hadron Collider (a misnomer if ever there was one – it’s not just large – it’s enormous), when this oversight came to light. Picture the scene: the head of Cern summons the entire complement of scientists and technicians to a meeting. Stepping up to the podium, he gazes out over the sea of expectant faces. Not quite how it was, but far weirder things go on in the world of physics. It’s full of strange theories, backed up by mathematics that ordinary human beings find totally incomprehensible. We just have to take the physicists’ word for it when they say that the answer to life, the universe and everything is 42, or whatever it turns out to be. And the names they give to these things: quarks, gluons, worm holes (essentially short cuts to other parts of the universe), string theory and the rest. It’s even been suggested that there could be an infinite number of parallel universes where each of us has a doppelganger living out a different version of our lives. What if one of these doppelgangers was to stumble into a worm hole and end up in the wrong universe: the same supermarket even as oneself. Bit of a shock coming face to face with an identical twin you never knew existed. Which begs the question: would it even be possible for the two of you to occupy the same cosmic space, or would it be a case of this universe ain’t big enough for the both of us?